Finding common ground and creating collaborations to address planning and development issues and outreah to communities are key elements of the success of the Grand Boulevard Initiative. Check out the most recent collaborations and explore how your communities are progressing towards the realization of the Grand Boulevard Initiative Vision! The Grand Boulevard Initiative Progress Report (2013) showcases the success of the member organizations towards achieving the Grand Boulevard Vision - to make the El Camino Real Corridor a more urban, pedestrian-friendly, transit-oriented corridor for residents to live, work, shop and play. The Progress Report also provides real-world examples of smart and sustainable ways that communities can grow and promotes public, private, and non-profit investment that will enable member organizations to continue to advance positive change in the Corridor. The document summarizes Grand Boulevard studies and highlights exceptional projects and plans in each Corridor jurisdiction. A foldout insert to the document contains an infographic that tells the story of the history, present, and future of the El Camino Real Corridor. Click the image or links below to view the infographic in more detail. 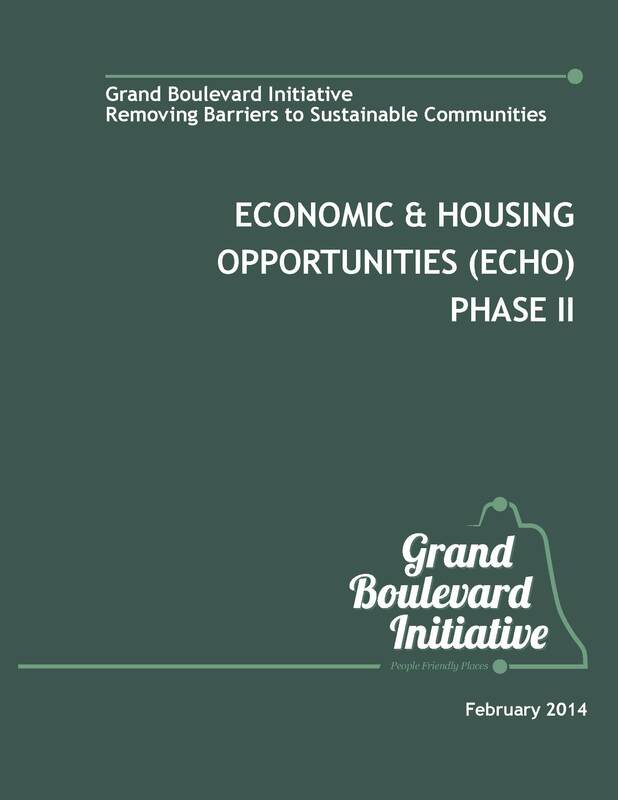 Three Final Reports completed as part of the Grand Boulevard Initiative: Removing Barriers to Sustainable Communities identify a variety of strategies for implementing sustainable communities in the El Camino Real Corridor. The findings and lessons learned identified in each report are intended to assist the Corridor communities in implementing the Grand Boulevard Initiative Vision. 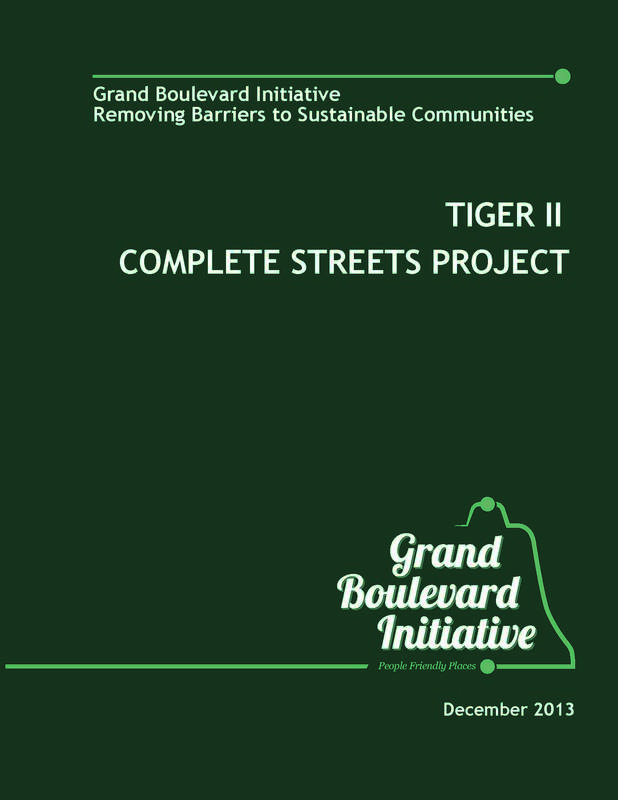 The TIGER II Complete Streets Project addresses the value of and challenges to designing complete streets on a State highway and facilitates the preliminary design of four case study projects on El Camino Real (State Route 82). The Final Report highlights the case study designs, describes the process for transforming a State Highway into a complete street, and provides guidance for future complete street designs on El Camino Real and other urban corridors across the nation. The Economic and Housing Opportunities Assessment Phase II examines the potential to transform El Camino Real into a vibrant, multimodal corridor through better integration of land use and transportation using four case study areas. The Final Report addresses development scenarios and potential barriers and provides urban design and implementation strategies to help cities move forward with infill development in the Corridor. The Infrastructure Needs Assessment and Financing Strategy evaluates the level of readiness of infrastructure to accommodate transit-supportive development in the El Camino Real Corridor. 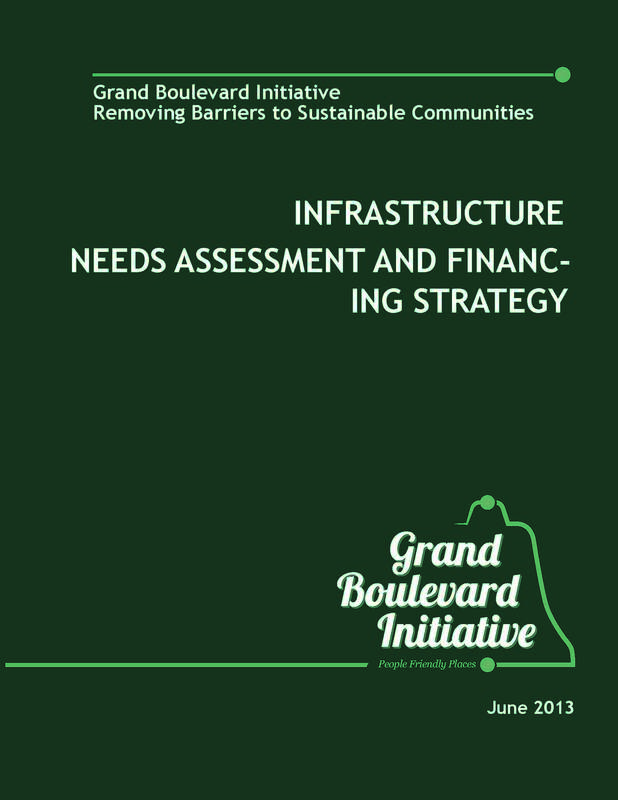 The Final Report describes the existing Corridor infrastructure, develops cost estimates for the improvements needed to meet future growth and intensification in the Corridor, and provides innovative funding and financing strategies to make the necessary improvements to achieve the Grand Boulevard Initiative Vision. The City of South San Francisco, in collaboration with Caltrans, the San Mateo County Transit District, and the City/County Association of Governments of San Mateo County, is preparing final design plans for a portion of their Complete Street Case Study on El Camino Real. This project focuses on the segment of El Camino Real between McLellan Drive and Kasier Way and proposes multimodal improvements to increase safety for all roadway users, to encourage walking, biking, and transit use along the Corridor, and to improve susatinability with green street features. New sidewalks, corner bulbouts at intersections, median pedestrian refuges, striped shoulders to facilitate bicycle use, and landscaping are proposed. Building from the TIGER II Complete Streets Project (discussed above), this project will bring the City's Case Study to fruition and truly become a model for other jurisdictions in the region. 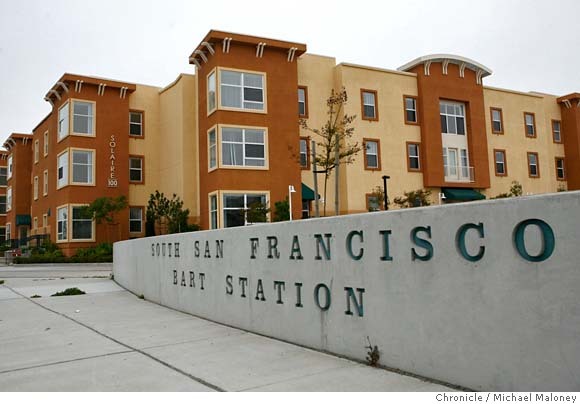 The South San Francisco Case Study was selected through a competitive application process among the four TIGER II Case Study cities. The design and engineering work is in progress, with construction expected to begin in 2017. Nelson/Nygaard Consulting AssociatesThe Metropolitan Transportation Commission (MTC)-funded recently released the State Route 82 Relinquishment Exploration Study investigates the Caltrans relinquishment process, potential benefits, and estimated costs associated with relinquishing State Route 82 (El Camino Real) from state ownership to the individual local jurisdictions, prepared for VTA. Relinquishment is a process where Caltrans, the owner of state highways including El Camino Real (SR 82), gives ownership of a portion of the roadway to a local jurisdiction. This allows the jurisdiction flexibility in design and use of the roadway, but also hands over the cost burden of owning the roadway. The Sstudy examines the Caltrans relinquishment process, analyzes case studies of recent highway relinquishments, including a portion of The Alameda in San Jose, and assesses the existing conditions along El Camino Real to determine cost estimates of relinquishment. The Study specifically looks at 20 miles of El Camino Real from the I-880 Interchange in San Jose to State Route 84 in Redwood City and. 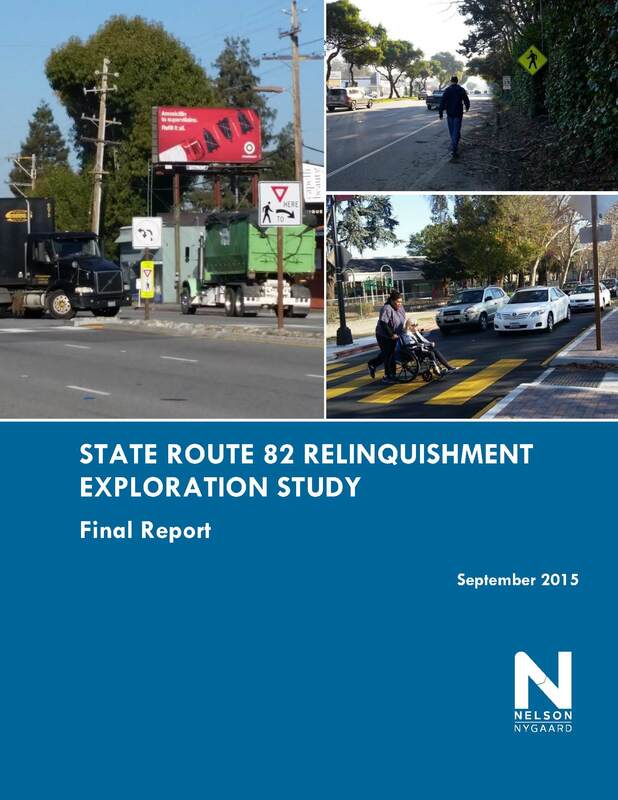 The Study provides information and analysis for communities and stakeholders in Santa Clara and San Mateo counties, as well as other cities in the Bay Area, to make informed decisions about relinquishment of state highways to local jurisdictions.